Certified Mail provides proof of mailing and delivery of mail. 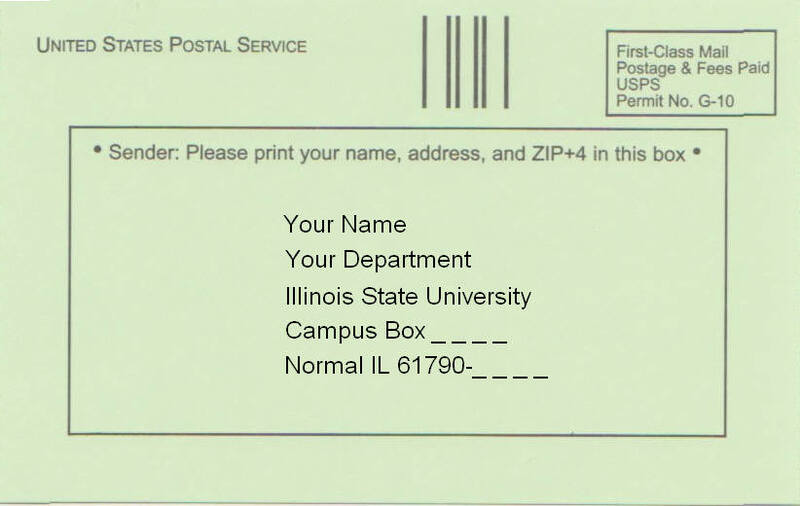 The sender receives a mailing receipt at the time of mailing and a record of delivery is maintained by the Postal Service. A return receipt can also be purchased for an additional fee to provide the sender with proof of delivery. Certified Mail service is only available for First-Class Mail or Priority Mail. See below for more information about return receipts. 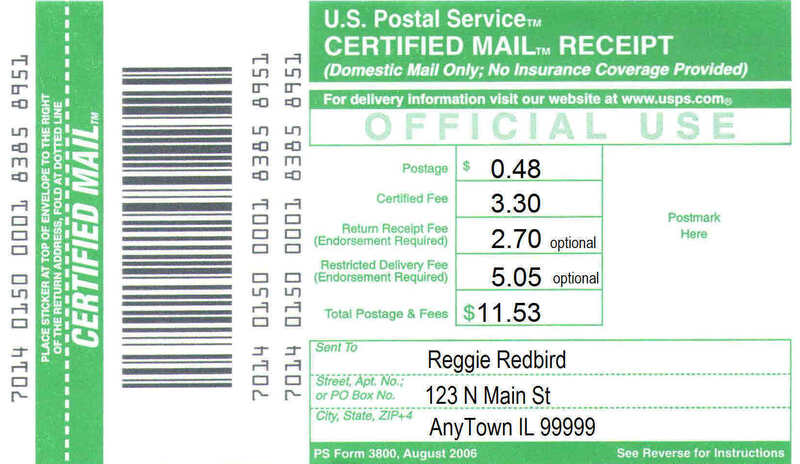 An example of a Certified Mail Receipt is shown below. Choose Return Receipt when you want hard copy proof of delivery automatically returned to you. The Return Receipt shows the recipient’s signature and the date and time that your mail piece was delivered. This is commonly used with Certified Mail. It can also be used for registered mail, insured mail and express items. An example of how to fill out the return receipt is below.